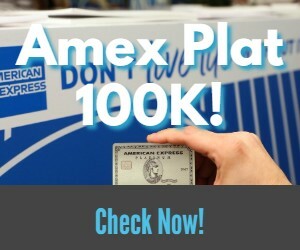 US Bank is offering a $300 bonus nationwide for new Platinum checking accounts. Let’s check the details. Earn $300 when you open a new consumer Platinum Checking Package between January 21 and March 18, 2019 and complete recurring direct deposits of two or more that total $2,000 or more within 60 days of account opening. Open a new consumer Platinum Checking Package with promo code WEB2019 by March 18, 2019. Make sure to complete recurring direct deposits of two or more that total $2,000 or more within 60 days of account opening. Your bonus will be deposited into your new checking account within 60 days of direct deposit verification. Bonus will be reported as interest earned on IRS form 1099-INT and recipient is responsible for any applicable taxes. Offer may not be combined with any other checking account bonus offers. Offer is not valid if you or any signer on the account has an existing U.S. Bank consumer checking account, had a U.S. Bank consumer checking account in the last six months, or received other U.S. Bank bonus offers within the past 12 months (limit 1 bonus per customer). Offer is not applicable to accounts opened at a branch or through 24 Hour Banking. Current U.S. Bank employees are not eligible. The good part about this bonus is that it is $300 and is available online and nationwide. But it requires a large amount to keep the account fee free. Some people that have branches nearby could be better off with a $200 in-branch offer that doesn’t require a direct deposit. The post says it’s avail nationwide however I’m in Maryland and USB will not give me a checking acct. what’s that about? What’s their interest rate on the $25,000? I was not approved and neither was my husband. We are in Dallas TX. We both have excellent credit–are we doing something wrong? We are somewhat new to bank account bonuses but very familiar with cc churning.